Sean Jones seems to be one of the models I have painted most over the last five years. Might be connected to the fact that he is a fan of mine as I am a fan of his. 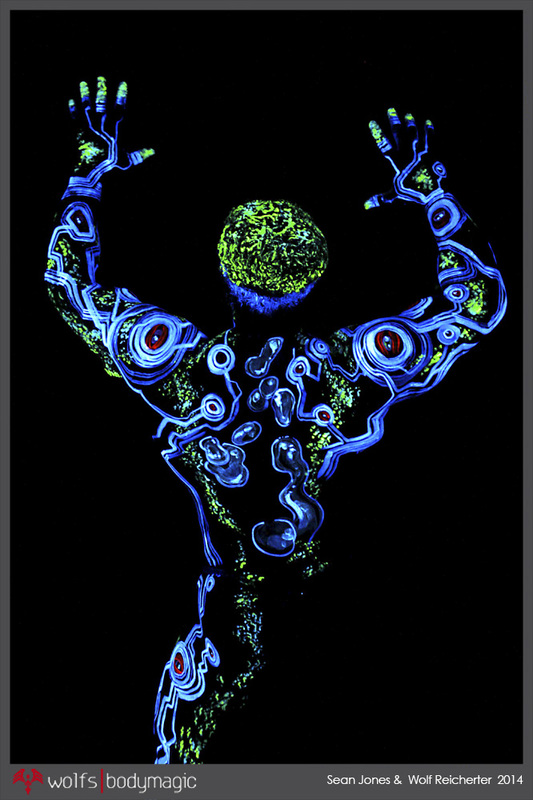 This was created in a lovely place in the Netherlands where I usually enjoy the hospitality of my friends Danie and Wytze, who created the UVAtar blacklight parties. 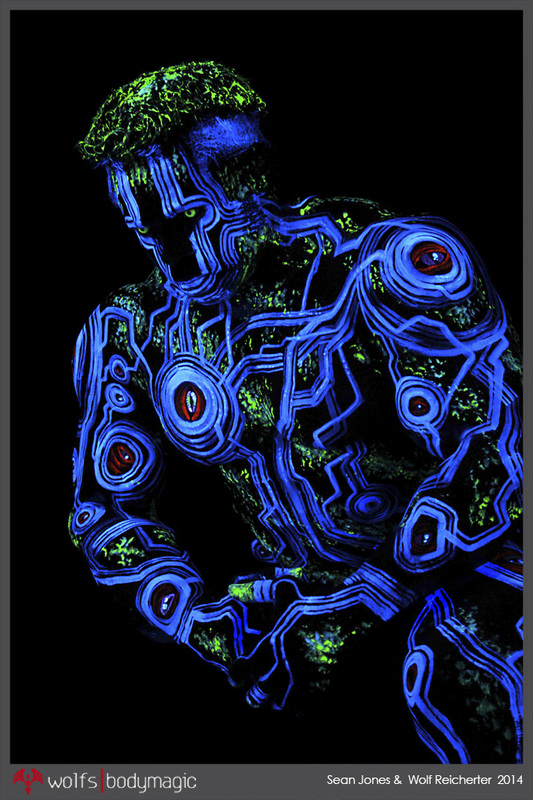 A fantastic care free, no pressure environment, ready to play with blacklight and bodypainting. 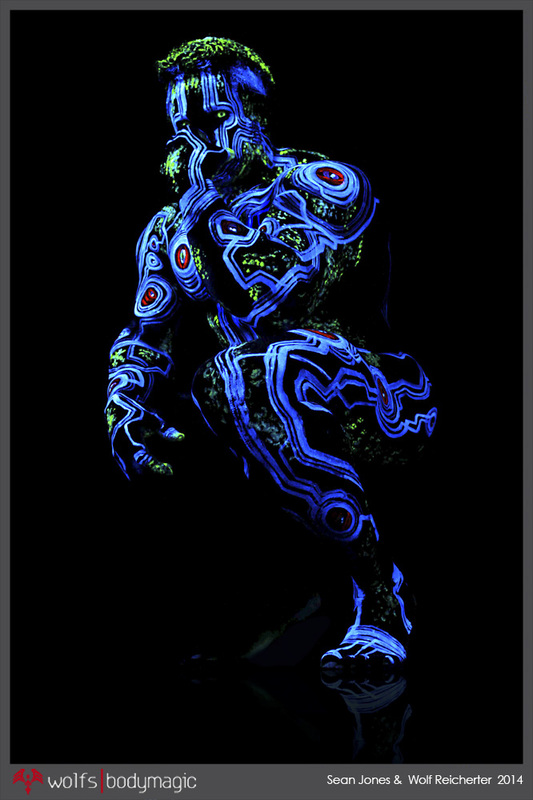 At this time Sean and me had the blacklight studio all to ourselves and we made most of this opportunity. 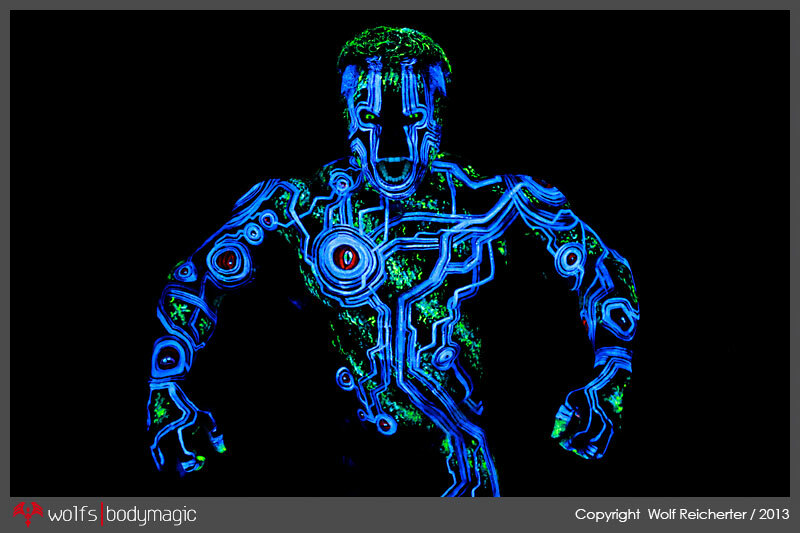 This was actually the second bodypainting in the series.